I believe that cakes should taste even better than they look. This is the last impression you and your guests will be left with after the cake is cut and enjoyed. My cakes are not overly sweet, but rather full of flavour. 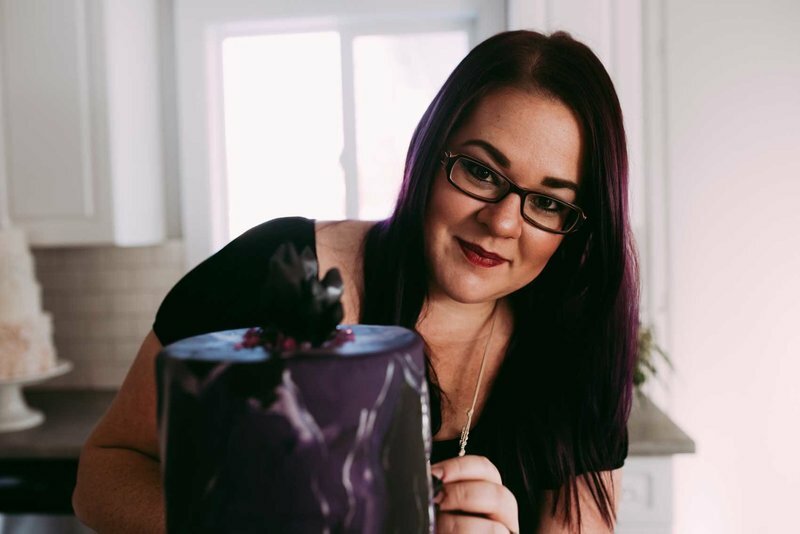 Every cake is made from scratch, using the highest quality of ingredients in my licensed cake studio. my cakes are also all made fresh to order, and have never, ever been frozen. There is never margarine or lard used in my kitchen because nothing compares to butter! i use Meringue buttercream rather than the American buttercream that most people are accustomed to. Meringue buttercream is much smoother, not quite as sweet and does not crust. because I use high quality ingredients with natural coloring, my buttercream is ivory in color. if you are wanting a true white finish to your design, I can use fondant to achieve that look. Fondant is a marshmallow like icing that is used mostly to decorate. It is a more stable icing which allows me to manipulate and decorate with it in different ways than i can using buttercream. 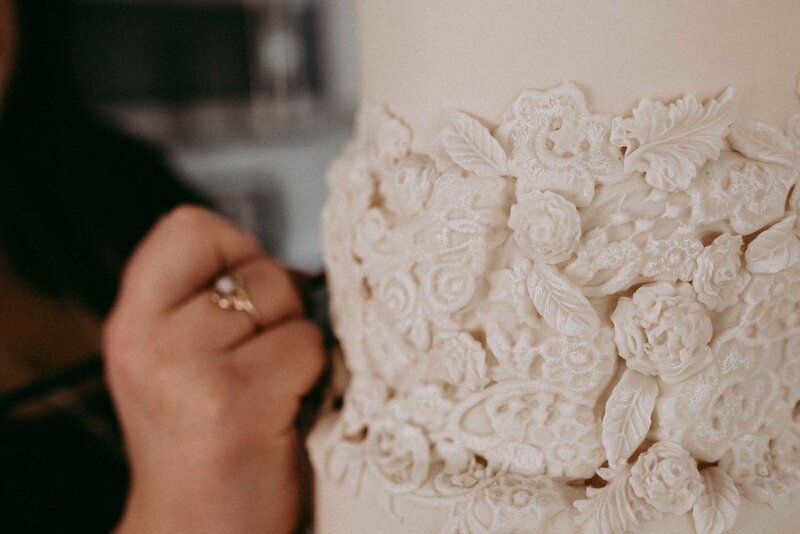 Fondant is always added over a layer of buttercream or ganache and can be peeled away once cut and served if your guests do not wish to eat it. Fondant is completely edible and in my opinion delicious too! While i can use cake photos found online as a reference, i will always custom design your cake specifically with you in mind. i would rather use inspiration from your event, your décor, your vision and you as a person, rather than copy another cake artist’s work. Cakes start at $7.00/serving for buttercream and fondant cakes. The final cost of your cake will depend on the design, regardless of the type of event. Cake servings are based off of a 1” X 2” X 5” serving of cake. 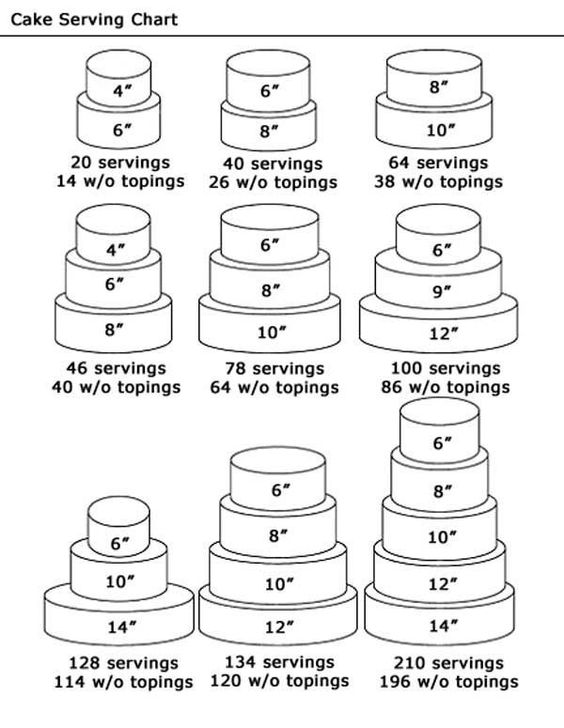 Please see the serving guide for a visual explanation on cake sizes. i offer standard size cupcakes as well. Cupcakes are $44/dozen. Fondant decorations and toppers are available at an additional cost. An initial payment of $300 is required upon booking to retain our services. For orders under $300, full payment is due upon booking. All remaining balances are due two weeks prior to your event. Accepted forms of payment include cash, credit, and Interac E-Transfers. i start taking bookings 18 months in advance. During wedding season (May-September) i am fully booked months ahead of time. i recommend securing your date as soon as possible, with at least 4 weeks’ notice. i will try to accommodate last minute requests, but to guarantee the proper care and attention is given to each order, only a certain number of cakes are taken every weekend. i absolutely do! Delivery is available in Central Alberta, and as far as Edmonton, Calgary and Banff. 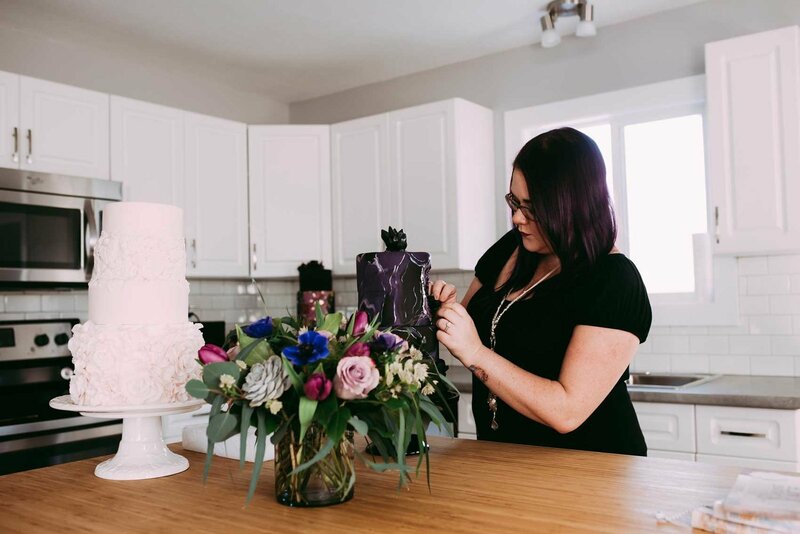 Delivery and set up is included at no additional cost within a 50 km radius for all wedding and event cakes ($500+) and any cake 3 tiers or larger. Some cakes must be assembled on site, and pick up is not an option. Delivery outside of the 50 km radius is available for an additional fee. How to store and cut your cake. 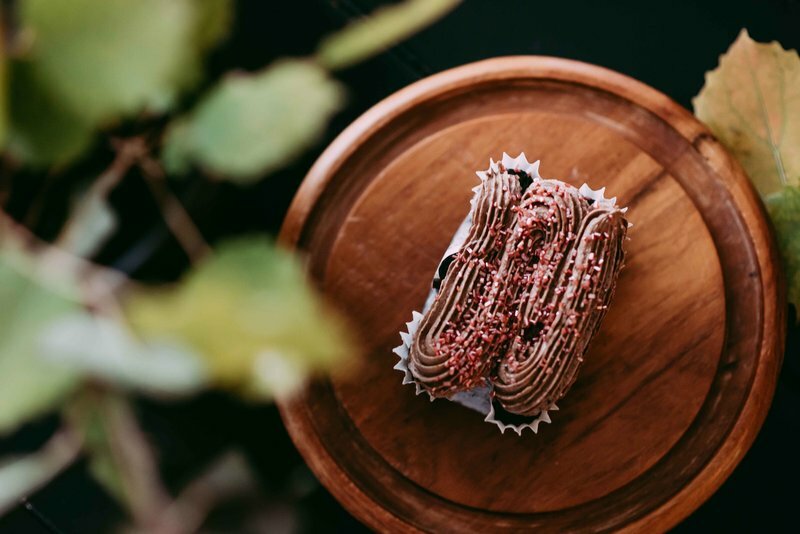 If you have room to store your cake in your refrigerator, that is the best place for it, however your cake is completely safe to be left out on the counter for 1-2 days. Any longer than 2 days and it should be kept in the fridge. 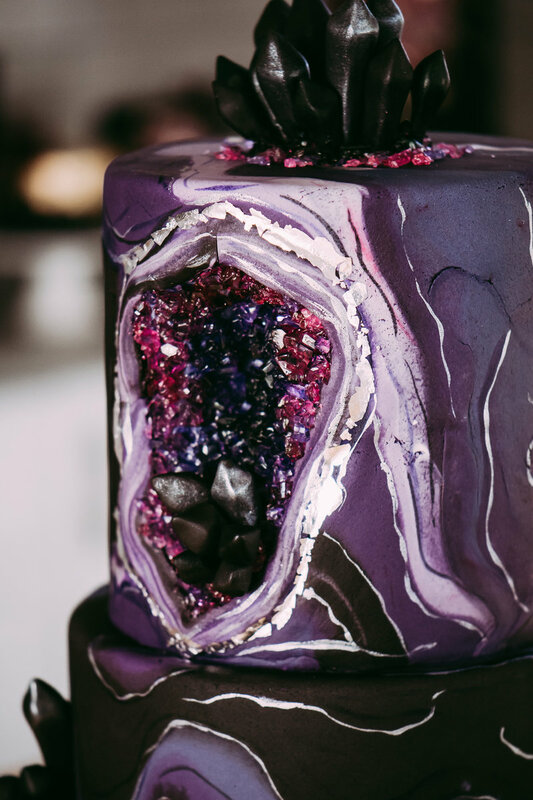 Keep your cake out of direct sunlight, which can melt or discolor your cake. Meringue buttercream is full of butter, which stays solid in the refrigerator. Please allow your cake to come to room temperature for 2+ hours prior to serving. A cutting guide will accompany your cake for reference. if you plan on having your caterer or helpful aunt cut the cake, this will help them to ensure there is enough for everyone!